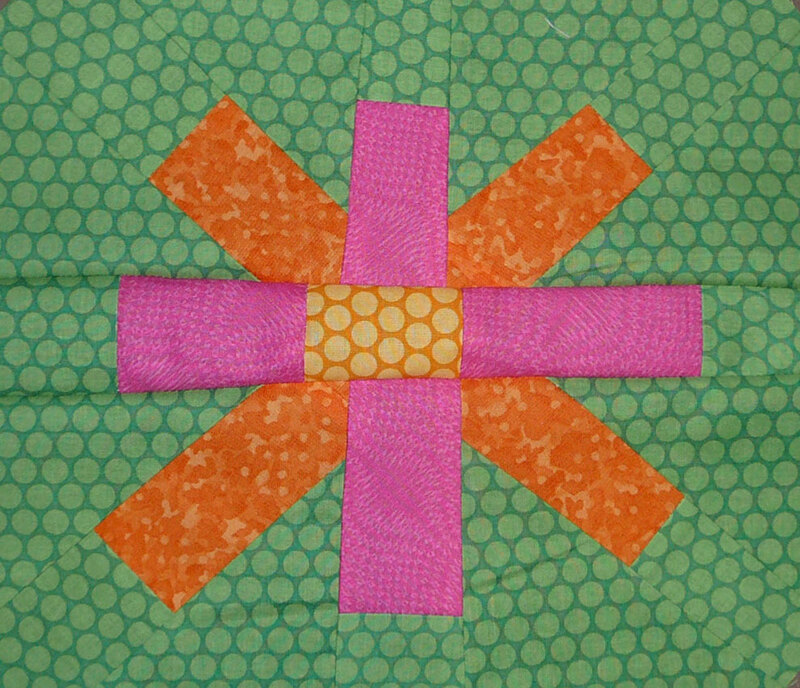 Patchy Work of Mini Grey: Return of the Daizy Quilt. 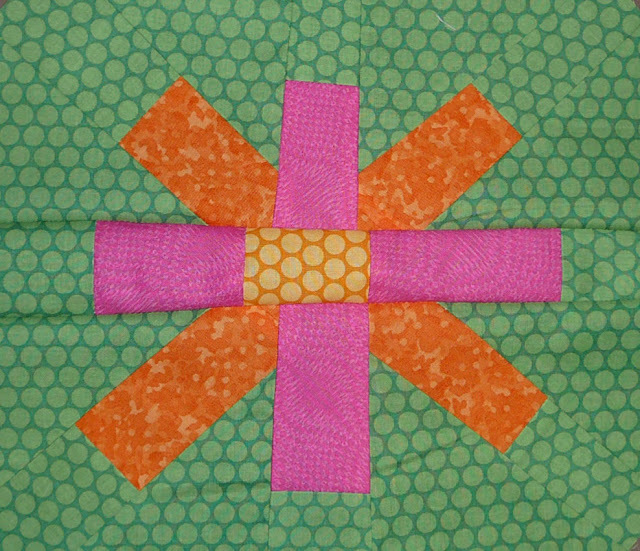 Those who have been reading this blog for awhile may remember this quilt. 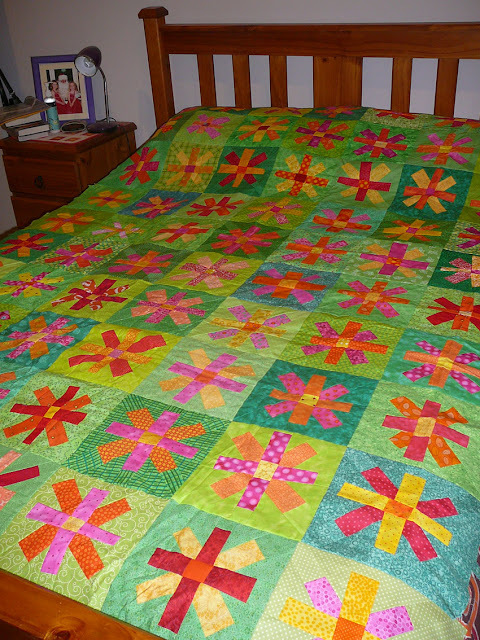 Its been nearly two years since it has made an appearance on this blog and I am embarrassed to admit it, but I did hope to have this quilt finished by the end of 2010! Hahahahahaha! 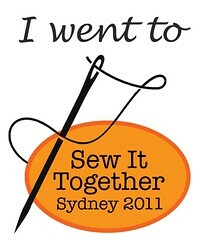 But this afternoon I did recieve an email that inspired me to pull it out of the WIP stash and actally finish it. 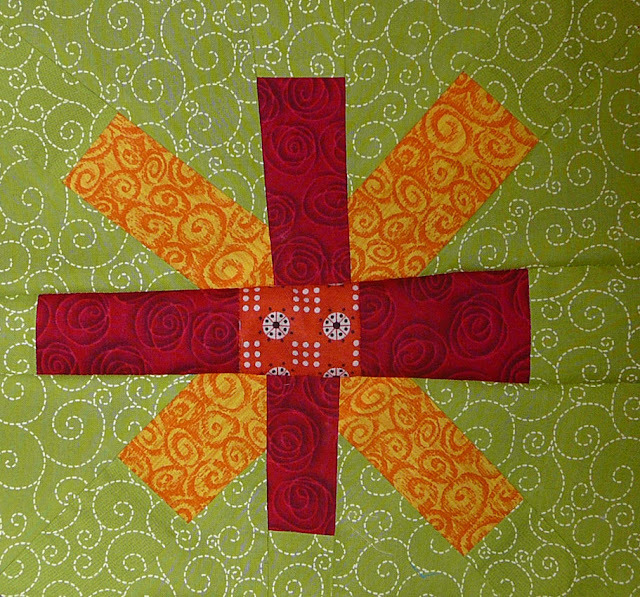 Kathy from Kool Kat Quilting has an end of financial year special on edge to edge quilting.... I threw the quilt top over our bed to realize that it needs just another row length ways for it to fit nicely. 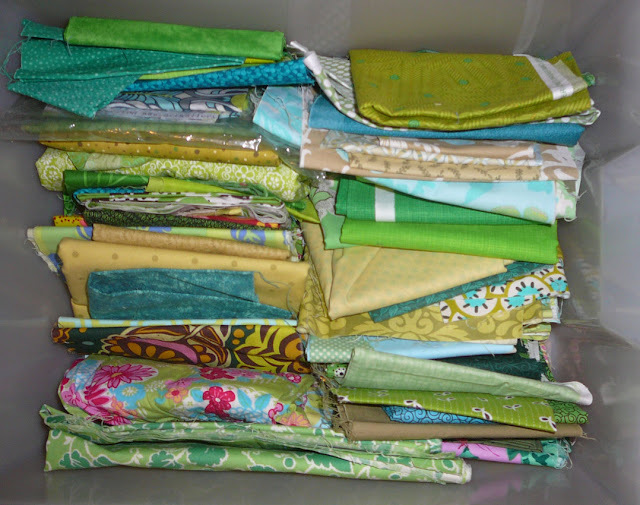 I took out the green draw from the stash, it is looking vey empty since the green squares quilt and the green windows quilt. (My Kona's are kept elsewhere, if the green's were included in here it would be buldging!) But I think I'll have enough to make the extra ten blocks needed. You can do it! It looks fabulous. I started my 'daisiez' quilt at a workshop a few years ago - still have lots of blocks to finish! I pull it out now and again and do a few more blocks before getting distracted. Think it's time to pull it out again. Love your colour scheme. Good luck with the finish!